An innovative and unprecedented offer of services, programs and pathways students at Westlake Bourget College can indeed enjoy a plethora of options to fill their academic curriculum, while practising a high-level sport. Westlake Bourget College develops values throughout the academic journey, as well as through a structured athletic environment, where our Student-Athletes are surrounded by professionals who have a great empathy for their respective pathways. We will build an alumnus that, in addition to having a strong education, has grown integrating a cultural citizenship formed of essential values. The College was for many years one of the largest school residences in Quebec. From that, a rich and overflowing extracurricular life emerged, which contributes to the strong sense of pride within us. Once our students graduate, they keep talking for a long time about the College “family”. Westlake Bourget College expects to become a Canadian Prep School of choice to future Student-Athletes who excel at the sport of Hockey. We expect to accomplish this through instilling effective balance to three key pillars: education, passion, and everyday life. 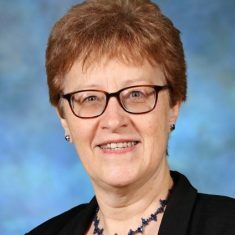 Part of the mission of the college is to implement core values such as compassion, integrity, solidarity and enduring work ethic, in order to embrace the struggles that come with balancing these pillars, all-the-while surpassing one’s self. Why choose Bourget College? MEES statistics. They work on a daily basis on guiding our students to success. Within the class schedule, specific slots are dedicated to enhancement and recuperation to ensure the best results possible. International admission is conducted continually throughout the year. You can also visit the College at any moment with an appointment. The future student will enjoy a meal at the cafeteria, sit in a classroom and skate with members of the team. N.B. : Foreign students must have health insurance. It must be bought before they leave the country. You can visit an international insurance company such as Ingle International or use your own, if you have one. We can also purchase an insurance for you, for around $500. You must provide proof of insurance when you get to school. An American visa is advised for shorts trips with school or host family. The Financial Aid Committee will review your request. Take a virtual tour of the Bourget College campus! 10 year NHL veteran Matthew Lombardi is one of the Westlake Bourget College founders. He along with his professional staff are present daily to ensure optimal development and attention is given to each student-athlete. Fifteen years ago Matthew was just starting his NHL career with the Calgary Flames. He was also starting his summer hockey schools, Westlake Hockey Development. His long term vision was to evolve this 1-week summer hockey school model into a year long program and to integrate it with a great academic curriculum. This model, to surround a select group of driven hockey players with some of the sports great developers, proved successful and thus leading into today’s Private Preparatory School, Westlake Bourget College (WBC). Set in the country-side of Montreal, Canada, WBC will combine the full spectrum of hockey development with a top-notch notorious institution, to prepare its Student Athletes for the balance and rigours that come beyond High School. Interested in our program and/or want to be scouted by a member of our Scout Team? Please contact Carl Michaelson at carl.michaelson@collegebourget.qc.ca or 514 607-2431. You may also fill out this form and send it to Carl in order to speed up the process. Matthew left home at the age of fifteen years old to pursue his hockey career in Gatineau where he played Midget AAA hockey. He then spent the next four years in the Quebec Major Junior Hockey league playing for the Victoriaville Tigers. In 2003, Matthew moved on to reach his goal of playing in the NHL for the Calgary Flames, where he was an important part of the 2004 Stanley Cup run. Matthew went on to play in the NHL for 9 seasons before heading overseas to play in Europe. During that time he had the opportunity to represent Canada twice at the World Championships, winning a gold and silver medal. He also captained the Canadian team to a gold medal at the Spengler Cup, after having won 2 previous Spengler Cup’s with his Switzerland Club Genève-Servette of the NLA. Matthew officially retired from the game in the fall of 2016. Matt has always considered himself a “student of the game”, always trying to learn and find ways to improve. This passion lead him to co-found Westlake Hockey Development and become a shareholder in his former Junior hockey team, the Victoriaville Tigers. 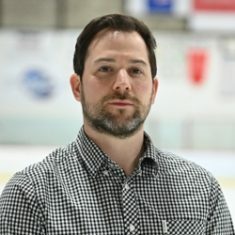 He uses these avenues to help young aspiring hockey players to achieve their goals by teaching and sharing what he has learned throughout his long and successful career. After graduating University in 2004, Carl played professionally in France, the USA, and Belgium. Carl then began coaching at his Alma Mater Hobart College. These years were spent scouting, recruiting, and serving as assistant coach. In 2012 he left Hobart to assume the Head Coaching duties at SUNY Canton. Carl then took his experience to France where he guided two different professional teams. Along the way, Carl has maintained scouting responsibilities with the Cape Breton Screaming Eagles of the QMJHL, as well as the Cedar Rapids RoughRiders of the USHL. The professional outlook he maintains is the culmination of experience in these various roles as player, coach and scout. 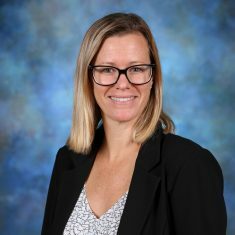 In 2004, Carl co-founded Westlake Hockey Development Inc., which is focused on teaching methods that relate to developing life and hockey skills with young players. This program has had success in helping aspiring young hockey players to achieve their objectives beyond minor hockey. During the 2015-2016 season, Carl guided the Cree Nation Midget Bears hockey program to one of their most successful seasons in the past 11 years. In 2016-2017 Carl spent the season at world renowned Athol Murray College of Notre Dame in Wilcox, SK. Carl was the male hockey coordinator and assumed coaching duties for one of their Midget AAA team’s. These last two seasons have been spent coaching at Collège Bourget, and building the WBC program. 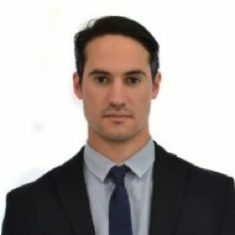 Marc Nadeau is Westlake Bourget College’s first appointed Head Strength & Conditioning Coach. 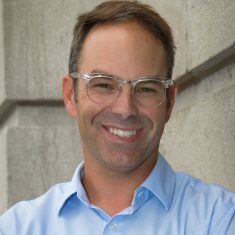 Marc has worked with athletes at the CIS University, high school, and pro sports levels, most under the tutelage of renowned Sports Performance pioneer Scott Livingston (former Montreal Canadiens Sports & Conditioning Coach). Marc began pursuing his passion after graduating from Concordia University with a BSc. in Exercise Science with Specialization in Athletic Therapy (Marc will therefore also take on Athletic Therapy duties with WBC). After graduation, he also studied to receive his certificate as a Certified Strength and Conditioning Specialist. Marc is also a practitioner of “reconditioning”, a highly regarded methodology of joining the worlds of Performance training and Athletic Therapy in order to create wholesome, robust athletes. Marc’s athletes vary between a wide variety of sports, predominantly at the elite level. 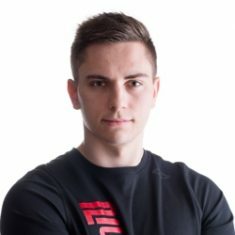 Working within the spectrum of different sports, Marc has developed a unique ability to adapt his methods to the demands of each sport and individual. However, much of Marc’s experience is in all aspects of development for the sport of hockey, functioning as the liaison between on-ice skill development and physical development. Marc’s vision is to guide the young men at Westlake Bourget College, and help them grow and develop into well-rounded, healthy, and injury-free athletes. Marc fosters this by building a culture of sustained growth, humility, and respect as these facets are paramount to the success of each player, and the program as a whole. The long term goal is to create a pipeline of robust athletes, while providing the proper tools to succeed on and off the ice. This will be accomplished by revolutionizing the physical pillar of athletic development. Underpinned by character and commitment, the Strength & Conditioning program will constantly strive to improve and grow within the program and keep up with modern day technologies and adaptations. Through careful planning of exercise selection, execution, intensity, and volume, Marc will build athletes that are best in size, strength, and power, while managing stress and fatigue. The athletes will constantly be screened for movement dysfunction, to isolate physiological problems and injuries before they happen. The Westlake Bourget College hockey department will be an innovative program that will provide our athletes a distinct competitive advantage immediately, and into their respective futures. 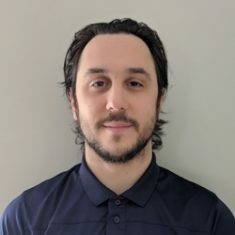 Westlake Bourget Hockey is excited to introduce Michael Stinziani as their Head Skills Coach. Michael is regarded as one of the most explosive young on-ice trainers, having tremendous success with his clients. As a player, Michael was very versatile and dynamic, recognized for his skating ability, his agility on the ice, and his explosive speed. Beyond that, he possessed great hands and skill with and without the puck. This dynamic ability has translated into a well-rounded and recognized Skill Development Coach. His attention to his clients weight transfer combined with their edge work, has been a key to his players progress. He is involved in every stride the athlete takes, and has impacted many athletes development paths. Michael is currently the manager and head trainer at Quartier Hockey (QH). While working at QH, Michael has trained professional, junior, and prep school athletes, helping them perfect their craft. Prior to embarking in his passion to develop hockey players, Michael completed an impressive hockey career. Professionally, Michael who played for the Quad City Mallards in the CHL, amassed an impressive 100 points in 127 games. While skating for the Concordia Stingers, in the CIS, he amassed 60 points in 39 games. After being the 29th overall pick in the QMJHL draft, he had a stellar 5-year career with four different teams, capturing a Presidents Cup along the way. Furthermore, he led his Quebec U17 Team to World Championship gold in 2006. Michael has also served as a Skills Director for other programs, and has tied in various coaching duties to his already impressive resume. It is his dedication to building great young men that keep his daily drive going, and it is this asset that the Student-Athletes that attend Westlake Bourget College should expect. Marco Raimondo will serve as Head Goaltending Coordinator to the program with Westlake Bourget College. Marco is well respected and reputed in the Greater Montreal area for his ability to develop goaltenders. His astounding work has been recognized at many levels, hence why he was sought out by this year's Memorial Cup host, the Halifax Mooseheads of the Quebec Major Junior Hockey League (QMJHL). With Halifax, Marco serves as the organization's Head Goalie Coach, and under his guidance, the organizations goaltenders, including NHL’s Chicago Blackhawks draft pick Alexis Gravel, hold 91.5 and 93.5 save percentages. 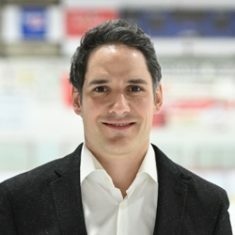 Prior to accepting the role with he Halifax Mooseheads, Marco embarked on his entrepreneurial endeavours, as he become an owner of Quartier Hockey. This two-rink and off-ice training complex provides his athletes the opportunity to pursue key elements of development, surrounded by a professional staff. Having started his own goaltending school in 2009, Raimondo Goaltending, Marco has helped many of his students reach their professional, NCAA and Canadian Hockey League objectives, among others. Marco Raimondo's hockey and academic experiences include two years of Prep School at Culver Military Academy, in Culver, Indiana, and eventually receiving his B.A. from Concordia University. In between, he had pursued his hockey junior career with the Cornwall Colts, of the CCHL, and parts of two seasons in the BCHL with the Cowichan Valley Capitals, and the Trail Smoke Eaters. While with Westlake Bourget College, Marco will lead the goaltending development model, and implement his winning structure to ensure the success and development of each of the programs goaltenders. 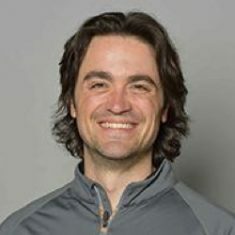 Coach Vinny Malts is the founder of Bloodline Hockey, a leader and at the forefront of incorporating mindset development and sport performance training. His Bloodline roster of players includes NHL, NCAA DI/DIII, Major Junior and top ranked Midget/Bantam students. His coaching is helping elite players in the world maintain a positive thought process, focus on enhancing their role and learn how to spend their valuable time wisely. He was named the Student of the Year from the Mindset Performance Institute for his outstanding work with youth athletes. Vince Malts has coached at the professional and amateur level for over 20 years. His professional playing journey of 10 years, began in the Quebec Major Junior Hockey League for the Hull Olympiques, where he was drafted by the Vancouver Canucks. After 10 years of playing minor pro-hockey, Coach Vince decided to follow his passion for coaching and mentoring players. He has coached at the ECHL, EJHL and Tier I U18/U16/U14 levels and has develop and place players into the NHL, NCAA Division I/III, Canadian Hockey League and the United States Hockey League programs. He has helped to build some of the top ranked teams in the country including a Tier I National Championship. Our teams will compete in established, structured, and professionally organized leagues, tournaments, and showcases. The objective for our program is that we compete against quality institutions and organization, and under the watchful eyes of various clubs that would be honoured to recruit our Volts. Westlake Bourget College is hosting its very first hockey camp. The camp is open to male hockey players born between 2001 and 2005. It will be lead by a professional staff of former players and coaches in the NHL, NCAA, QMJHL, Jr. A, Midget AAA, etc. On Saturday, former and current players and coaches from the NCAA, QMJHL, etc. will be holding a panel to discuss skills development, career choices, the Westlake Bourget College program and much more! To register, fill out the form at the bottom of the page. A $100 deposit must be sent upon registration, before April 12, to secure a place at the camp. Refunds are possible before this date. The rest of the amount must be paid upon arrival at the camp. Please note that you can also send the full amount right away. Please write on the cheque's memo line "WBC Spring Showcase and the player's name”. If you have any question regarding this camp or Westlake Bourget College, please contact Carl Michaelson, Program Director, at carl.michaelson@collegebourget.qc.ca or 514 607-2431. All of our students on the elementary and secondary levels have access to the human and material resources to contribute to their well-being and development. Westlake Bourget College fulfills its educational project by creating an enlightening milieu where dreams come true, along with self-development, knowledge and skills acquirement, in a respectful atmosphere. The residents can also practice a wide range of sports, such as basketball, football, baseball, tennis, skateboard, soccer, badminton, hockey, broomball, swimming, waterpolo, etc. in our top-of-the-line installations.